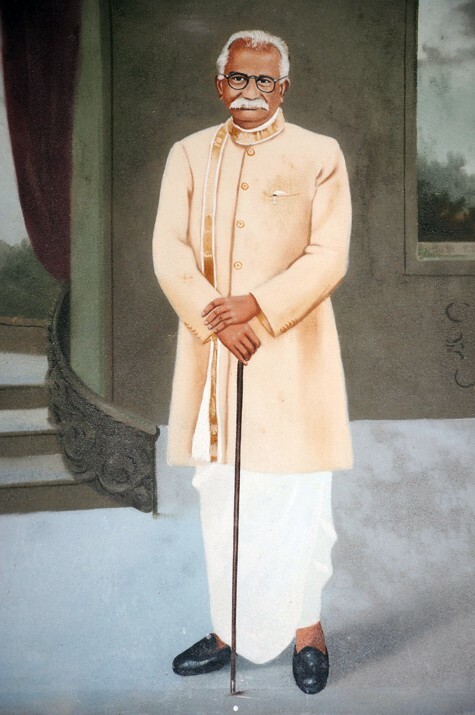 P. S. Chidambara Nadar, the renowned philanthropist in Virudhunagar, is mostly known as the “Father of Women Education in Virudai”. He was an opulent business magnet in metal mart. By dint of his diligence he amassed wealth in his business and spent his hard earned money for the development of various Educational Institutions in his home town Virudhunagar. Education was denied to girls in the beginning of 20th Century. The elderly gentlemen of virudhunagar realised the necessity of women education and established Kshatriya Girls Middle School on 10th September, 1910. PSC rendered hearty cooperation to those gentlemen and sought the growth of the school superbly. He rendered remarkable service to the school by holding the post of Secretary from 1921 to 1934. His timely encouragemnet to the students and his boosting up of the student by giving valuable prizes increased the strength of the school. income got form Chennai Virudhunagar Nadar Mansion should be utilised for the growth of the schools in KGS Managing Board. Really it is a glowing tribute of his educational service. In 1946, when the first set of students (22) in KGHSS came off with flying colours in SSLC, he was overwhelmed with joy and gave away valuable prizes to the staff and students as a token of appreciation and applause. He awarded gold medal to the top notchers and boosted them up. Besides he donated deliberately to the establishment of VHNSN College to enable boys to receive college education. He ardently wished to increase the knowledge of people and so he constructed many libraries in various parts of Virudhunagar. He constructed a Maternity hospital in memory of his wife Meenakshi Ammaiyar. There is no wonder that such a magnanimous philanthropist had been honoured with a prestigious title “RAO SAHIB”. He breathed his last in November 1949. KGS Managing Board showed their gratitude by establishing an English Medium school right from kinder garten for girls under Central Board of Secondary Education and named it after this magnanimous philanthropist as P.S.Chidambara Nadar Central School on 23rd June, 1975. Besides they erected his statue in KGHSS Park and his busts in the lobby of PSC School’s main block. When KGS board celebrated its centenary celebration in 2010 the strength of the schools has reached nearly 8400. The credit goes to P. S. Chidambara Nadar. All the Board Members, Teachers and taught paid their homage to him on its centenary celebration.